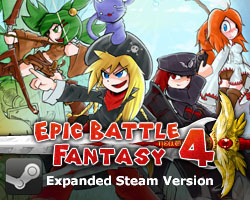 Liddian made some videos of EBF4′s end-game content. I think he’s still the only one to do so. They might be worth checking out if you’re considering buying the expanded game, or if you need help with these parts. 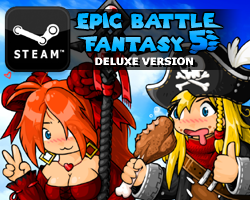 This entry was posted in Epic Battle Fantasy 4, Game News on March 6, 2014 by Matt Roszak. That feeling when you see somebody play your own game better than you.